Easter is a great time of year for a singles holiday, thanks to those extra days off over the Bank Holiday weekend, but also the sheer variety of trips on offer at this time of year, including beach breaks, city trips and spring skiing. And while it’s peak season, the shifting calendar means you’ll find different holidays on offer every year, sometimes with unexpected discounts. March dates could mean shoulder season prices on sunny short-haul destinations, while Easter in April can cut the cost of late-season ski trips, for example. Here’s my pick of some of the best Easter holidays for singles. While you’ll be lucky to find sunbathing weather close to home in April, there are still plenty of short-haul beach breaks to choose from at Easter. Mercury Holidays has a string of hotels with no single supplement if you’re looking for early sun in southern Europe, including Malta and the Algarve. For Spanish sun combined with a life overhaul, head to Cortijo Romero for one of its personal development courses, which range from stress reduction and mindfulness to creative pursuits including writing and singing. Or head to Crete, where the singles-only Mistral Hotel has a special Greek Easter celebrations stay during April to get a taste of long tradition on the island. If you’re happy to fly further, there’s even more to be found. Mercury Holidays has more supplement-free places to stay in Bali and Sri Lanka, which both have good weather and sometimes lower prices as it’s the edge of peak season. Add some pampering with a spa retreat that’s ideal for singles from the healthy holiday company – Bali also features here along with other in:spa retreats in Morocco, and a luxury detox at Absolute Sanctuary Detox in Koh Samui. Or stick with the Indian Ocean where solo travellers are as welcome at Bandos Island Resort as couples – keep an eye out for discounts with Barefoot Traveller. 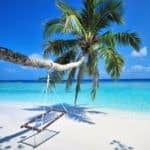 It’s the end of peak season across much of the Caribbean too, whether you fancy a party atmosphere with low single supplement at adults-only all-inclusive Breathless Punta Cana Resort & Spa or another all-inclusive that’s all about relaxation and spa at The BodyHoliday – book with Tropical Sky. For over-50s, there are some great long-stay deals such as Hotel Breezes Jibacoa on the north of the island, while Saga Holidays has long-stay discounts at St Lucia’s Bel Jou. And there are breaks exclusively for solo travellers in Kenya with Friendship Travel, mixing the white sand beaches of the coast with a short safari. It’s worth choosing your resort carefully if Easter falls later in the season, but with snowsure slopes still to be found, as well as often fantastic conditions in the Alps earlier in the year, you can find some great breaks for singles ski. Inghams has supplement-free ski holidays for solos across Austria, France, Italy and Switzerland, with stays to suit every level of expertise and budget – Meribel is great for beginners as well as more experienced skiers, while Cervinia in Italy has a two-star option for a bargain break, not to mention big name ski resorts such as Kitzbuhel, Lech, Saas Fee, Zermatt and Klosters. If you prefer a ski chalet holiday exclusively for solo travellers, Friendship Travel has group getaways in France at the resorts of Alpe D’Huez – as Easter is late this year, you’ll need to look at dates in the early part of the month to catch the last snow. If you’re travelling with kids, especially when you’re restricted to holiday times, it pays to check out the specialist companies to avoid single supplements on top of peak prices out of school – for more tips on choosing the best, check out our page on holidays for single parents. Easter is a great time to start getting out of doors in the UK, especially if you’d prefer not to be far from home. Single with Kids has UK breaks including North Wales and Sherwood Forest. There’s also sun on offer: family favourites including Tenerife and four-star all-inclusive in Cyprus. No need to miss out on a spot of luxury either. Single Parents on Holiday is exclusively for single parents and their children, with a family-friendly ski break at the ski-in, ski-out Hotel Steiner in Obertauern in Austria. And there’s plenty of adventure out there too if you fancy more than a beach break, with tour operators offering a range of family-friendly trips. Explore’s family group trips are mostly aimed at children aged seven and above, such as the Family Cambodia Adventure, while the family holidays from On The Go Tours have options aimed at both teens and younger kids, including safaris and active holidays. Visit hill tribes, zipwire and island hop on the Thailand for Teens or the Kasbahs, Kids and Camels in Morocco is aimed at five-year-olds and up. Easter is also a great time of year for a city break – weather good enough to wander the streets and explore but without the high temperatures and crowds that follow in the summer months. The themed tours from Martin Randall Travel cover art, culture and literature and a variety of destinations, especially the UK and Europe for a short break to feed your interests – and no single supplements on selected tours. Try one of its music and history weekends. 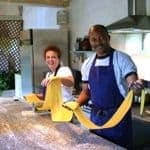 For culture and plenty of classical music, try a cultural tour from Kirker Holidays, whether that’s a UK-based Kirker Music Festival or the chance to discover art in Italy. And Peter Sommer Travels has an expert-guided tour of Sicily, focusing on the island’s history and archaeology. For a range of cultural treasures, there are few places to beat Russia’s two most famous cities – Cox and Kings has a seven-day Majestic Russia tour to Moscow and St Petersburg, exclusively for solo travellers. Solitair Holidays has an Easter break in historic Chester with a 1970s tribute band, aimed squarely at over-50s. If your perfect Easter break involves more than sauntering to and from a lounger or the streets around your hotel, the weather makes for a great active break too. 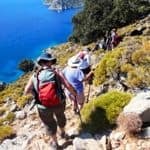 Try a walking holiday with no single supplement from Ramblers Walking Holidays – from Turkey’s Lycian Way to Sidmouth in Devon, there’s a range of landscapes to discover, and levels of difficulty to suit. And Solos Holidays, exclusively for those travelling alone, has a range of walking holidays worldwide including UK breaks to make the most of any Easter sunshine, as well as short-haul destinations like North Cyprus. Or hop onto a bike for a cycling holiday instead. Saddle Skedaddle has guided options in Europe as well as the UK, where it should be pleasantly warm but not too hot for any steeper hills. And with Morocco, Spain’s Costa del Sol and Ibiza among the choices, you could also enjoy a yoga holiday in several gorgeous destinations for some stretches with a view. With an ever growing range of escorted tours that are ideal for solo travellers, there’s a big choice for a singles-friendly group getaway over Easter. For ancient sites and fascinating culture, Egypt is unmissable too. 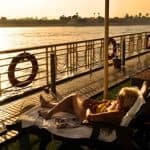 The six-day Pharaohs Adventure from On The Go Tours is a great introduction, or enjoy a Nile cruise with Cox & Kings, discovering the temples and tombs as you sail along the river. 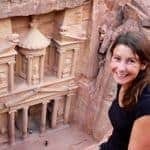 See another treasure of the ancient world on a Passage to Petra tour in Jordan, including the mosaics of Madaba as well as the desert landscape of Wadi Rum and the Dead Sea, or on a tour exclusively for solo travellers, such as Treasures of Jordan. If sleeping in the desert takes your fancy, the group tours with Solo Travellers include an eight day Southern Morocco tour with a stay in the Sahara as well as exploring the Atlas mountains. Easter time is also the last chance to explore India before the searing heat of summer and the monsoon, so it’s a great time to look at a tour of the country. Whether you fancy the most famous sights or a chance to explore further north or south, On The Go Tours has a string of itineraries. The weather is warming up nicely in China which is a country best tackled with an experienced guide and a group of like-minded people. Try this eight-day tour between Beijing and Shanghai or the bucket-list-busting 14-day Great Wall & Pandas trip. The summer heat has also died down in Australia, with fewer crowds than the busy Christmas period – Australian Sky has escorted tours which are popular with solo travellers as well as its solo itineraries. And it’s cherry blossom season in Japan, where InsideJapan Tours has some trips exclusively for solo travellers and no single supplement on others. Or spot fauna instead of flora on a wildlife-themed tour. Explore’s range of wildlife tours are popular with solo travellers, whether you fancy tracking elephants, rhino and lions in Namibia or discovering the unique sights of Costa Rica. For unique wildlife, the small group tours in Madagascar include the chance to explore the reefs and rainforests, while there’s more wildlife and sea with a nine-day safari and beach combo combining the Serengeti and Zanzibar’s glorious sands. Saga has some great escorted tours for solos over 50 as well, including the chance to travel in the footsteps of Livingstone in Africa as well as discovering little-known Albania. Easter tours don’t necessarily mean sun either – with days starting to lengthen in the Arctic Circle, the weeks around the equinox in March are also some best times to see the Northern Lights, although you could be equally lucky if Easter falls in April. The five-day Land of the Northern Lights tour takes you deep into the Icelandic countryside in search of those eerie green swirls. Whether you prefer river, canal or ocean, there are some great cruises at this time of year. The luxury hotel barge holidays from European Waterways have started up again for the season, with no single supplement on some departures and all-inclusive gourmet food, wine and excursions. Cruise past fields of flowers in the Netherlands or enjoy some of Italy and France’s most beautiful countryside. Fred. Olsen also has its own chance to discover the waterways of Germany and Sweden cruises, plus trips to Madeira and the Canary Islands if you want to depart from a UK port. Or sail up the coast of Scotland on one of the boutique cruises from St Hilda Sea Adventures, including a wildlife tour of Skye. For guaranteed sunshine, Norwegian Epic, with its studio staterooms and singles-only areas, is cruising around the Caribbean, to enjoy island hopping there.